Your genes control the color of your eyes and hair, as well as the basic function of every cell within your body. The presence of some genes can also increase your risk for developing certain diseases, like some cancers and Alzheimer’s disease. 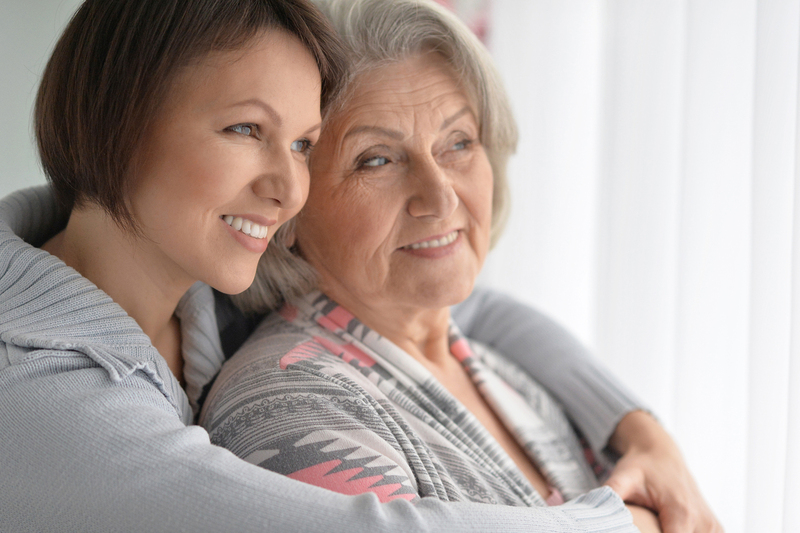 This is why after a family member has been diagnosed with Alzheimer’s disease, many individuals wonder about their chances of developing the condition, too. Or, perhaps you’re worried about your own children if you or your spouse were diagnosed with Alzheimer’s or another form of dementia. Alzheimer’s disease is an irreversible, progressive brain disorder, and according to the Alzheimer’s Association, it is the sixth leading cause of death in the United States. However, not all dementias are dependent upon your genetics. Alzheimer’s and Genetics – Is it in Your Genes? As far as genetics, there are two categories of genes that influence whether a person develops a disease. These are known as risk genes and deterministic genes. Having risk genes increases the likelihood of developing the disease, but there’s no guarantee it will happen. On the other hand, deterministic genes directly cause a disease, and if you have these genes then developing the disease is certain. When it comes to Alzheimer’s disease, there are four sets of genes linked to dementia. The gene most commonly associated with the strongest risk for Alzheimer’s disease is APOE-e4. This means if you have this particular gene, you have a greater chance to develop dementia. The risk increases exponentially if you receive a copy of APOE-e4 from both your parents. However, studies show that six out of 100 people age 75 years old will develop dementia, and this is true for those who have no copies of the APO-e4 gene. For those who have one copy of the APO-e4 gene, 11 out of 100 will develop dementia. For those who have two copies of the APO-e4 gene, the numbers increase to 18 out of 100. However, less than two percent of the population will inherit two copies of the gene. Furthermore, if you do inherit it, this doesn’t mean dementia is inevitable. Only half of the people with Alzheimer’s have the APO-e4 gene and not everyone with the gene develops the disease. So, is Alzheimer’s disease hereditary? It can be, but the number of cases that are genetically based are extremely rare, making up less than one percent of all Alzheimer’s disease diagnoses. And, these cases are usually early-onset Alzheimer’s, which develops as early as in a person’s 30s. Due to it’s tendency to run in families, early-onset Alzheimer’s disease is typically known as familial Alzheimer’s. It’s important to note that genetics are just one risk factor associated with developing Alzheimer’s disease. The number one risk factor for Alzheimer’s is advanced age, as the majority of diagnoses are in individuals age 65 and older. In fact, nearly one-third of people age 85 and older have Alzheimer’s disease. While your age and genetics are two risk factors that cannot be changed, research does suggest that making healthy lifestyle choices, sooner rather than later, may decrease your chances for developing Alzheimer’s disease. Live a healthier lifestyle by getting regular exercise and eating a brain healthy diet. Exercise keeps blood pumping through your body, which increases the number of small blood vessels that supply that essential blood to your brain. Eating leafy greens, limiting caffeine and adding foods rich in antioxidants like blueberries can also boost your brain health. Additionally, aim to stay socially active, and keep your brain engaged through regular stimulation like puzzles or memory games. Get a good night’s sleep, every night, to allow your body and your brain ample time to recover from the day, storing memories and flushing out toxins. If your loved one is showing some of the signs of Alzheimer’s disease and you’re seeking an environment where he or she will thrive, consider the memory care center at Mountain Vista Senior Living Community near Denver, Colorado. We provide personalized memory care designed to meet residents’ individual needs and to maintain their overall well-being. Learn more about memory support at Mountain Vista, or please contact us today to set up a personal tour.